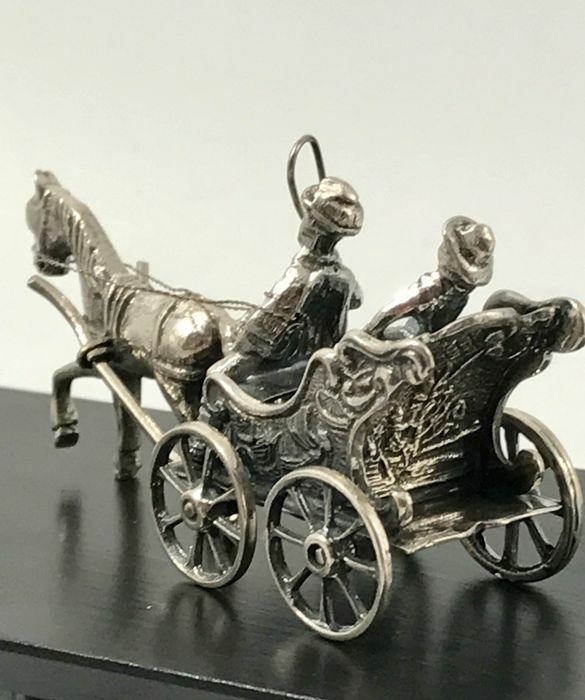 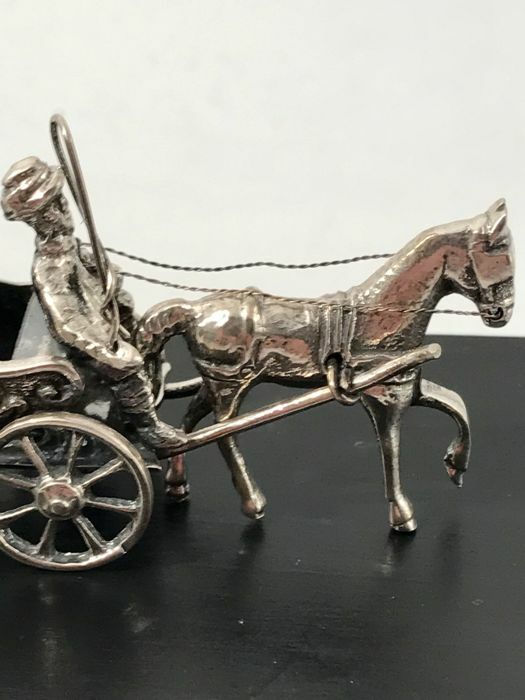 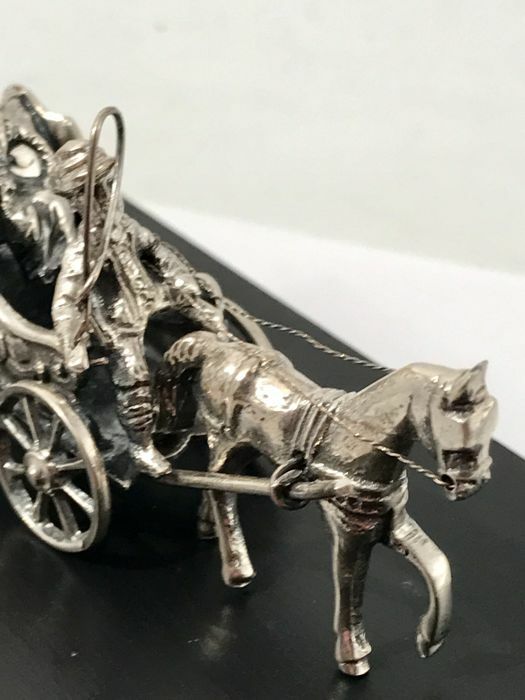 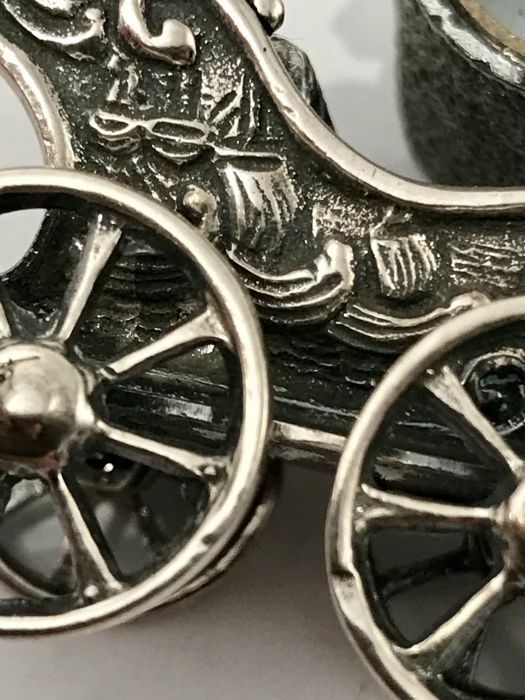 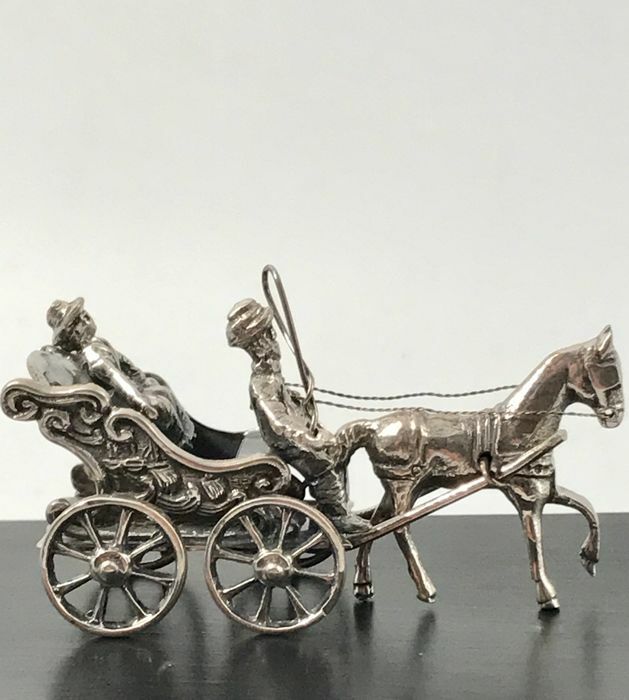 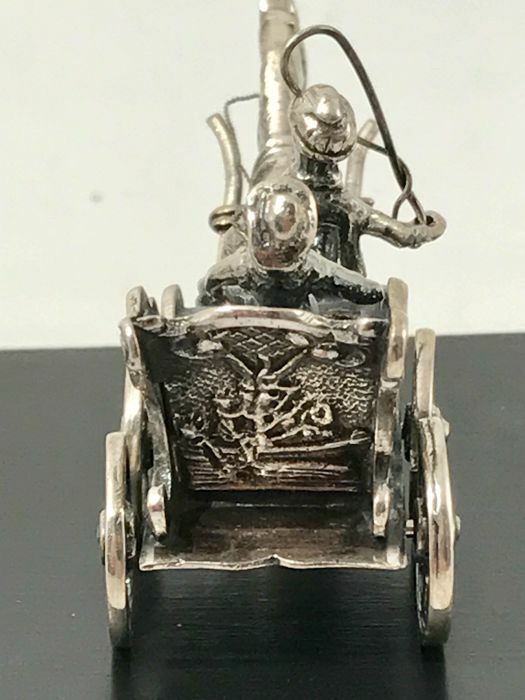 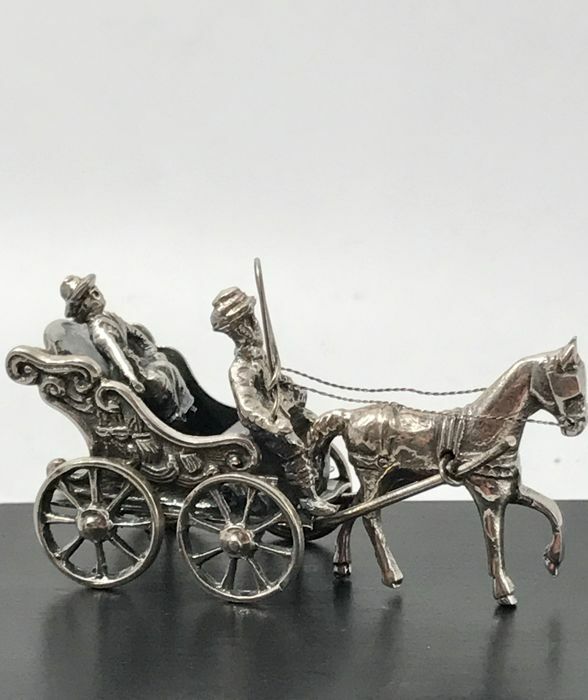 A solid and antique, handmade Dutch silver miniature in the shape of a carriage pulled by a horse. 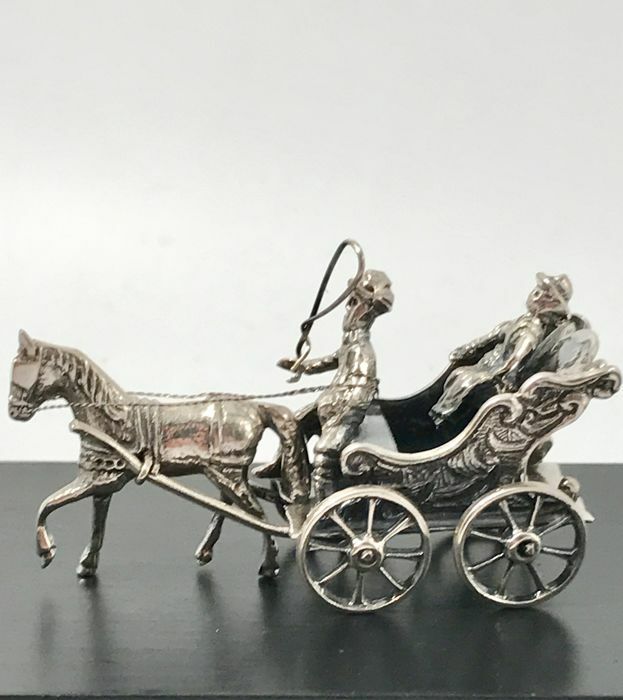 Very detailed horse, coachman, lovely detailed canopy, rotating wheels, reins made out of silver thread, etc etc. 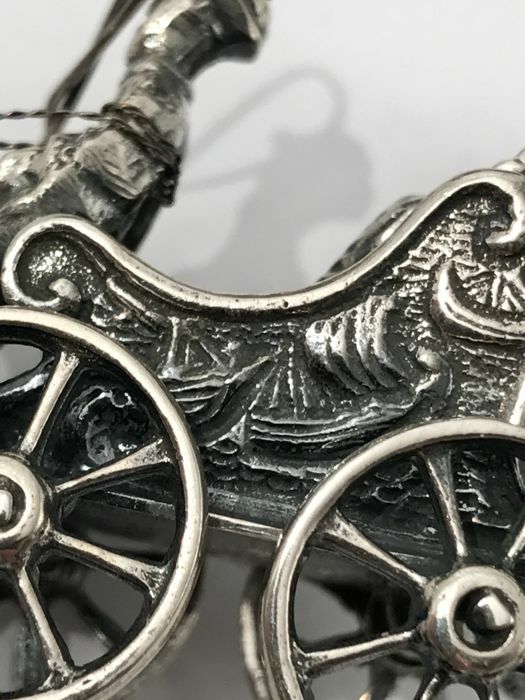 The sides and the back of the carriage are richly decorated with old sailing ships. 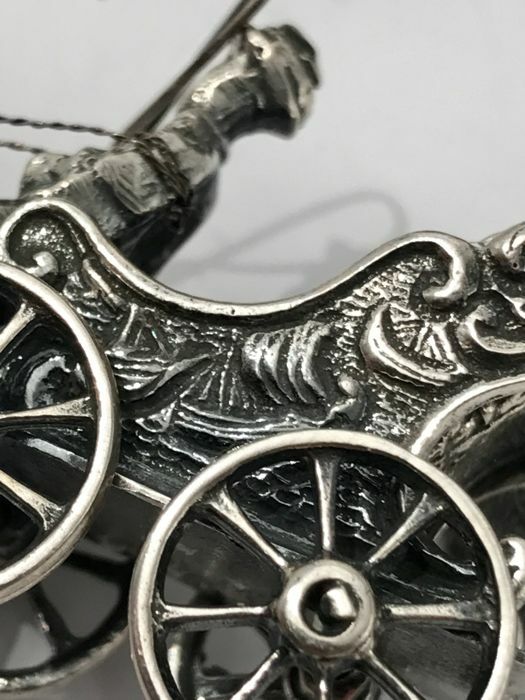 Quality hallmark - a Sword. 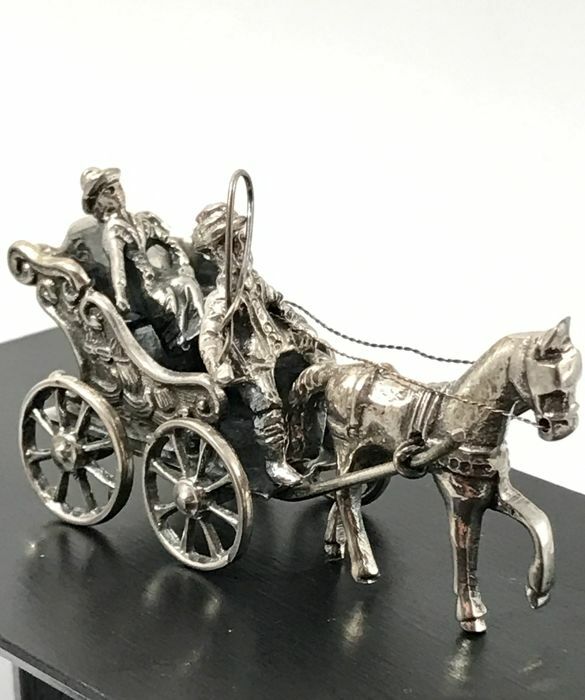 This is a large miniature that measures: Height: 7 cm and Width: 3.8 cm. 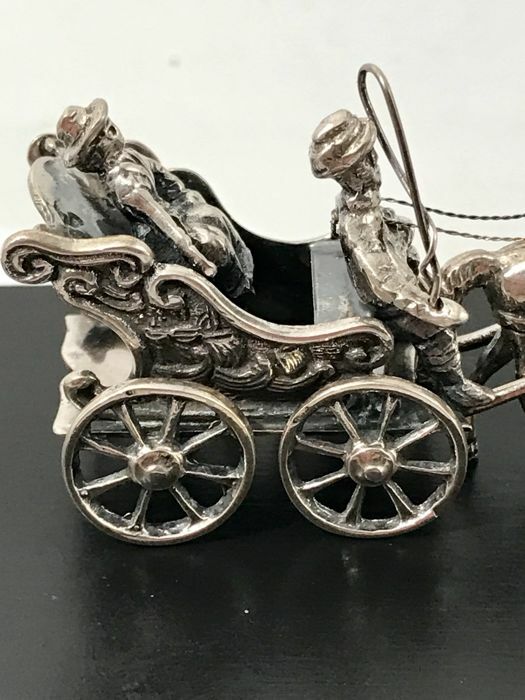 The miniature is also heavy and weighs: 47.1 g.
A very beautiful and in complete condition miniature, undented, unscratched and undamaged. 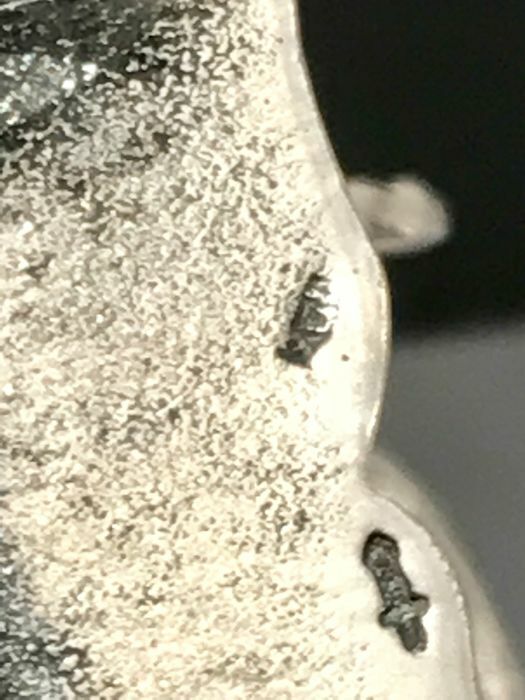 All the details are clearly visible and present. 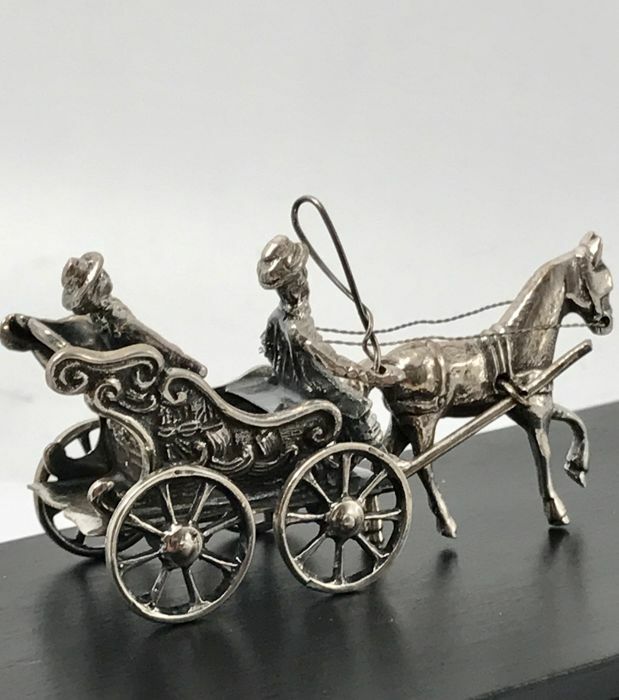 Due to its size and many beautiful details, this a very special, striking and decorative object. 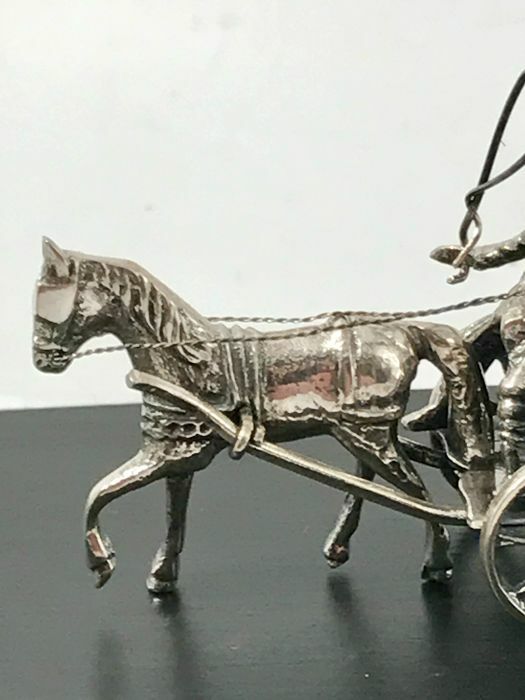 Keurig verpakt, wel een domme aankoop want in de winkel was ik goedkoper uit geweest. 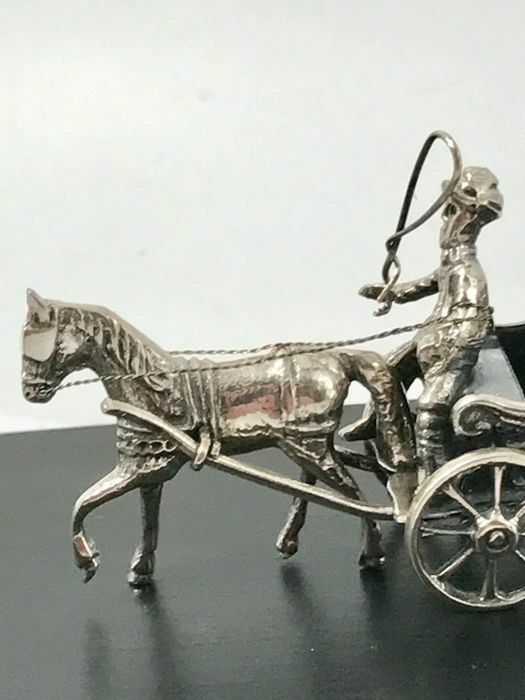 Parabéns pela organização e rapidez na expedição. 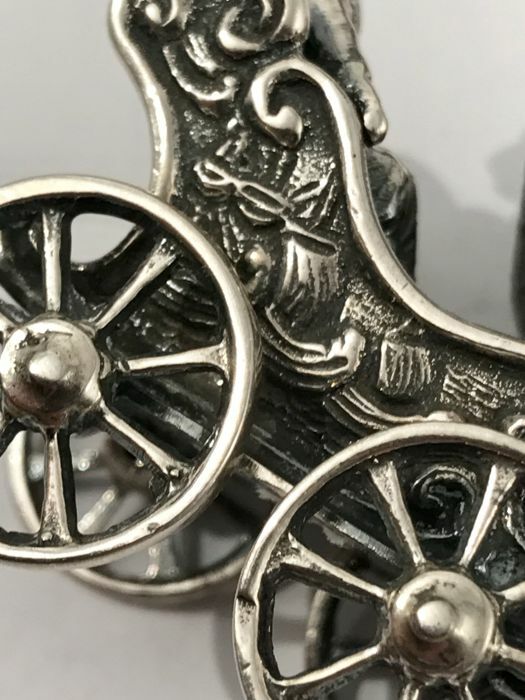 Ontvangen in goede orde, dank !